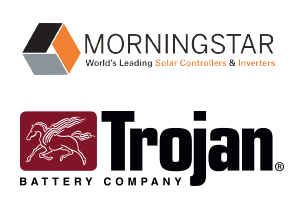 As proactive supporters of environmental sustainability, Trojan’s environmental stewardship focuses on clean energy initiatives and recycling programs. 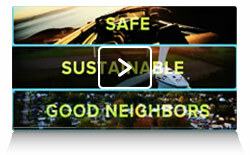 Trojan manufactures batteries that are 99% recyclable. Through its partnership with Southern California Edison (SCE) Trojan saves over 8 million kilowatt hours and cuts CO2 emissions by over 12 million pounds significantly reducing our annual energy consumption and carbon foot print. 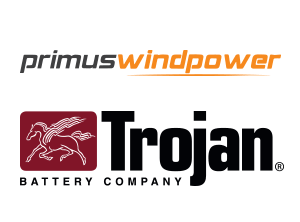 Trojan’s advanced technology, premium components, exacting standards for quality and performance, and our advanced manufacturing process ensure our batteries provide customers with the performance and reliability Trojan has become known for. Trojan’s Industrial line of deep-cycle batteries is the newest addition to Trojan’s lineage of high-quality flooded batteries. The Industrial line is engineered specifically to support renewable energy systems that require large daily loads where the batteries are cycled regularly. 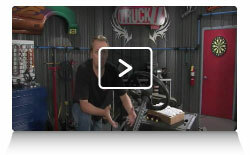 Trojan Hydrolink™ Water System Featured on TRUCK U, Speed Channel Matt Steele, host of TRUCK U on Speed Channel, demonstrates the usability and functionality of the Trojan Hydrolink Water System. Display how to turn the Trojan Batteries into virtually a maintenance free battery with a simple to install Trojan Hydrolink Watering System. You can find complete preconfigured Hydrolink Water Systems for 12V, 24V, 36V & 48V Trojan Batteries Systems. Engineered to withstand the rigors and abuse of deep discharge applications, the OverDrive AGM 31 deep-cycle battery incorporates design features ensuring it meets maximum performance. 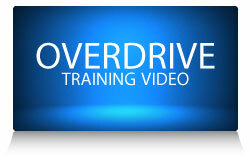 Trojan has developed a series of OverDrive training videos for heavy-trucking users and mechanics addressing battery installation and measuring OCV, use of Midtronics EXP-1000 testing equipment, and proper wiring of batteries. Test your knowledge with a short quiz after each video and print out a certificate of completion. In addition, earn a chance to receive an OverDrive AGM 31 installation and maintenance poster to hang in your shop. Trojan has developed Reliant™ with C-Max Technology™ for a wide range of applications which will benefit from its true deep-cycle design, including aerial work platform, floor cleaning, golf, inverter, material handling and recreation. Reliant AGM is also designed to power equipment used in locations where regulatory mandates require use of non-spillable batteries such as airports, healthcare facilities, shopping centers, educational institutions, etc. Trojan in partnership with GRID Alternatives’ International Program participated in a team building and service-learning experience that brought solar power to a rural off-grid school in Mexico. Participants learned about global energy access issues, got hands-on by installing Trojan batteries in the field, and gained a new perspective about life in another culture. 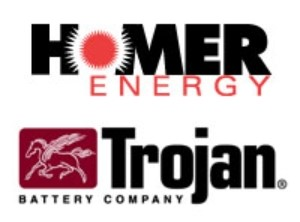 Trojan Battery Company has been manufacturing deep-cycle, flooded batteries for more than 90 years. Our experience has shown that the key factor to achieving optimum performance and long battery life is to follow a regular care and maintenance program. While reviewing our battery maintenance tips, please keep in mind that all battery systems are unique. Battery type, charger technology, equipment loads, cable size, climate, and other factors can all vary. Slight or significant, these differences will require battery maintenance to be adjusted accordingly these are only guidelines to follow for proper battery care. Each particular system will always require a degree of customized attention. 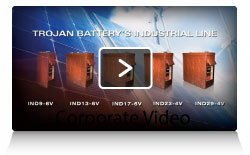 Expand your deep-cycle battery knowledge with this video tutorial which reviews the various deep-cycle battery technologies available on the market today, and what to consider when selecting a battery for a particular application. Learn the importance of measuring the state of charge of deep-cycle batteries by evaluating open circuit voltage and calculating specific gravity of deep-cycle flooded batteries. Learn proper safety techniques, cleaning methods, watering, equalization, how to avoid stratification and calculating specific gravity to maintain the health your deep-cycle batteries. Learn important facts about battery charging as part of an effective battery maintenance program, including correct charging procedures, and rules to follow when charging. Regular equalization of deep-cycle batteries will help avoid and reverse the buildup of negative chemical effects such as stratification and sulfation. By Following specific safety protocols when handling or performing maintenance, ensures the well-being of you, your equipment and those working in or around the area of battery-powered machines or vehicles. Learn about battery capacity ratings, tips on achieving maximum capacity, the signs of aging batteries, and how depth of discharge measurements relate to overall battery life. Get the facts on how to properly store deep-cycle batteries, the best storage locations and what maintenance procedures are important to perform while batteries are stored for long periods of time. Fact or Fiction? Discover what myths are circulating on the golf course or in social circles on battery storage, maintenance practices or extending cycle life that may just destroy your batteries. Caution! Don’t believe everything you hear. Using HydroLink™ takes the mess and hassle out of watering flooded batteries. Watch our HydroLink video tutorials to learn how to install and use HydroLink to perform this important battery maintenance task. With Trojan’s HydroLink™ a set of golf car batteries can be filled in less than 30 sec., simplifying the process of battery watering. 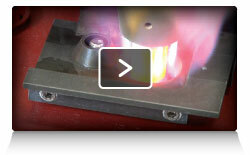 Watch Trojan Tips to learn how to install and use the HydroLink single-point watering system. Learn how Smart Carbon enhances life and performance of Trojan’s Industrial and Premium batteries operating in partial state of charge in renewable energy (RE), inverter backup and remote telecom applications. 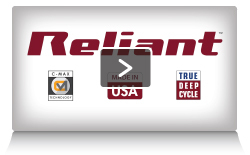 As the industry’s first true deep-cycle AGM battery, learn how Reliant AGM maximizes sustained performance and increases total energy output to meet demanding deep-cycling requirements in a wide range of market applications.